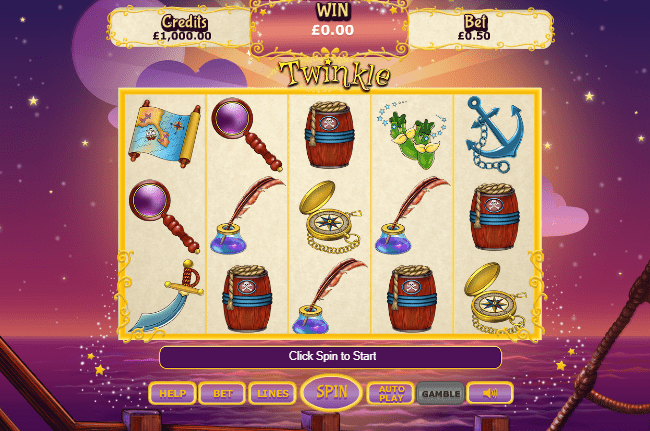 Here's another brilliant Jackpot Slots game on Wizard. Join the fairies as they flit and flutter their way around this pirate ship, spreading their magic and sparkle wherever they go! The backdrop is a cartoon-like ocean vista illuminated by sparks of fairy dust. The symbols of the slot include pirate ship paraphernalia such as quills, spyglasses, maps, wheels, a compass, barrels of rum, and swords. However, you will also find some of the fairies bits and bobs such as bags of fairy dust. A twinkling soundtrack completes your magical experience! The protagonist is a fairy named Twinkle, and she will show you around the ship where you can meet her fairy friends as well as admiring the magical view over the purple-hued ocean. 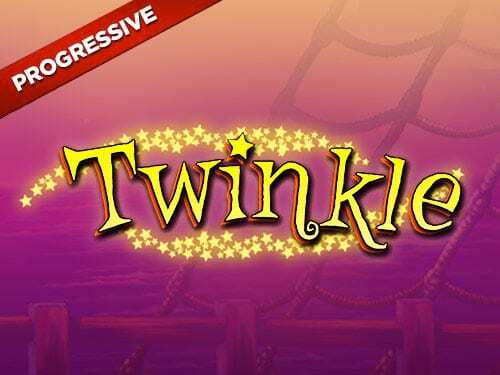 However, things aren’t as idyllic as they seem on board this ship – many of Twinkle’s friends have been trapped by the pirates inside Green Jars and need rescuing! Founded in 1997, Eyecon operates out of Brisbane but enjoys popularity across the globe. Combining these years of experience with a forward-thinking and ambitious attitude has ensured continued dominance in the industry – indeed their games consistently appear in ‘Top 10 Games of the Year’ lists. For similarly magically orientated slots, try The Magical Forest or Spellcraft. If you're looking for any more games by this developer, view our online slot games today! This is a 5 reel, 25 payline slot with a pleasing RTP of 95.04%. Players can activate anywhere between 1 and 25 lines, and bet between 1 and 50 credits per line, meaning there is a considerable bet range available. Sit back and enjoy the ocean views by activating the autospin feature. This is definitely one of the games with the highest RTPs. To know for more, visit our helpful guide. 15, 20, or 25 free spins respectively, during which time wins will be multiplied! The Green Jars are another important symbol – if 3 or more appear on the same payline you will be taken to a Prize Pick round! You will be asked to pick jars to free the fairies who will reward you with prizes, the highest reward being 100x your total stake – choose wisely! Adding to the excitement is the progressive jackpot which can be triggered at any time! This slot has a feminine edge due to the pinky purple colour scheme and the fairytale storyline. It is a great, unintimidating slot for beginners and those looking for something light-hearted. The graphics are very endearing and the soundtrack completes the magical atmosphere. The Prize Pick round, free spins, and progressive jackpot all add extra excitement and variation to this game. 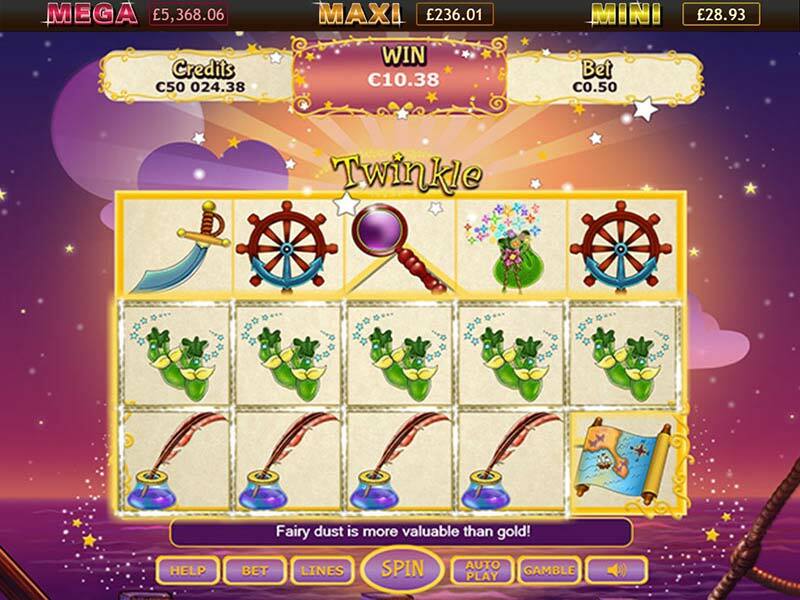 With a massive total bet range, players of any skill or budget level can experience the magic of this enchanting slot. If you love Twinkle Jackpot as much as we do, be sure to give Stampede Jackpot a go!